Stately Front Entrance invites you into this open floor-plan home that offers 3 BR, 2.5 BA w/ a Bonus Room that could be a 4th BR. Wonderful Spacious Kitchen with Granite and tiled back splash. Vaulted Master BR with roomy Bath and Walk-in Closet. Newly Fenced yard with Deck and plenty of yard space for family and Fur Babies. Well Established Neighborhood. 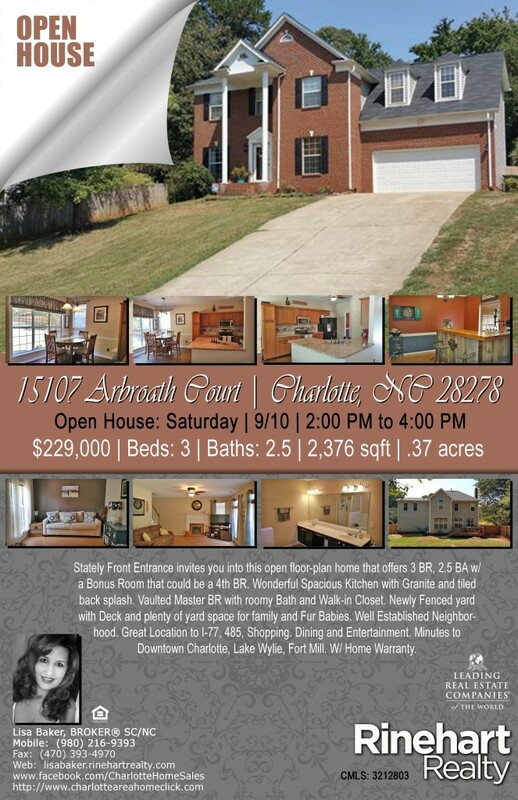 Great Location to I-77, 485, Shopping. Dining and Entertainment. Minutes to Downtown Charlotte, Lake Wylie, Fort Mill. W/ Home Warranty.